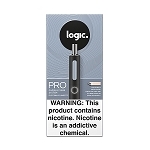 Logic products must be used only by persons of legal smoking age according to each state law. Age verification of all persons under the age of 27 is required before purchase through our website. 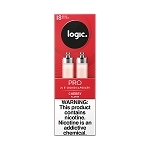 WARNING: Logic products contain nicotine derived from tobacco. Nicotine is an addictive chemical. These products should not be used by minors, non-smokers, women who are pregnant or breast feeding, or persons with or at risk of heart disease, high blood pressure, diabetes, or taking medicine for depression or asthma. These products are not a smoking cessation products and is not intended as such. These products are not intended to diagnose, treat, cure or mitigate any disease or condition. These products may be a choking hazard. Keep away from children and pets. If the non-vaporized concentrated ingredients are ingested, seek medical attention immediately. Logic batteries and cartridges are not designed or intended to be used with parts supplied by other companies. Such use may cause malfunction and/or injury and will void any applicable warranties. Dispose of batteries properly. Copyright E-Smokes. All Rights Reserved. by WireZ Technology.